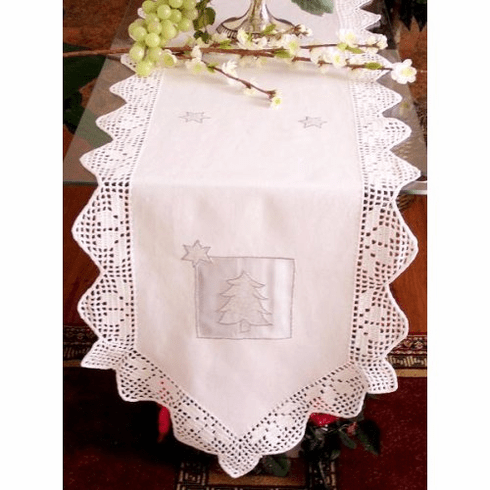 Home | Table Cover | Table Runner | 3095 Christmas Tree Table runner, 15x72"
This is white 100% cotton hand made table runner. Cool Christmas tree on sherr linen. The runner around with hand made crochet lace. Placemates not included but can be purchased separately.